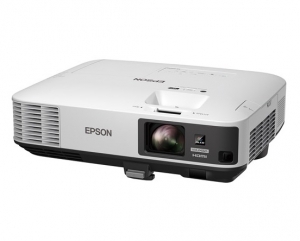 Epson EB-2250U 5000 Lumens WUXGA LCD Projector + FREE Speaker System! Offering excellent brightness to deliver perfect presentations with Gesture Presenter and intuitive, easy-to-use features. 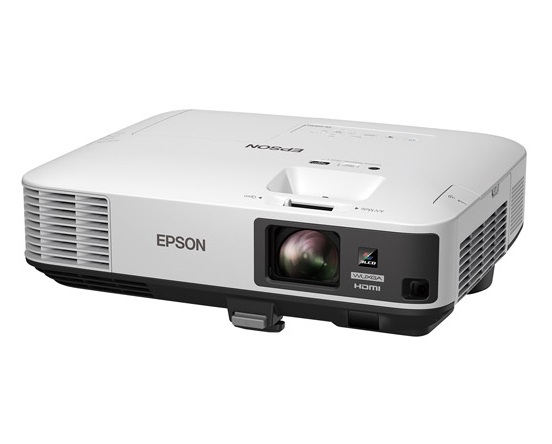 • Even though its light weight and compact size enables it to be carried from room to room, the projector is capable of highly visible images thanks to its high brightness (up to 5,000lm) and superior 15,000:1 contrast ratio. Room lights don't have to be dimmed to see bright and clearly projected images, allowing meeting participants to concentrate better for improved meeting productivity. • In cases where the image extends beyond the frame of the screen or whiteboard you just have to push the "Screen Fit" button and the image frame automatically matches up with the edges of the screen.